From ATV’s to watercraft, the Anchor Insurance Group understands that your recreational assets enhance your lifestyle. So, it’s important to insure your special possessions for injury, theft and property damage, and guarantee that you can enjoy them for years to come. Watercraft Insurance protects you legally and financially if your craft is involved in an accident or damaged by fire, theft, vandalism or other weather-related occurrence. It can also protect you and your passengers from medical expenses resulting from an accident involving your craft. Your insurance needs will differ depending on the type of watercraft you own. Boat insurance provides physical damage protection of such items as hull and sails, fishing equipment and on-board furnishings. It also offers protection against such perils as vandalism, fire, theft and accidental sinking. In addition, boat insurance can provide liability protection against damage to another boat or dock, bodily injury to another person, or damage or injury from an uninsured boater. 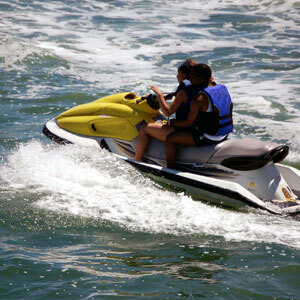 Jet Ski insurance covers you in the event of injury while you are jet skiing. It can also cover damage caused to your Jet Ski by fire, theft, vandalism or accident—whether it’s on or out of the water. Snowmobile insurance covers injuries and property damage that you may cause to others as a result of a snowmobile accident. It can also protect your snowmobile from damage caused by fire, theft or collision.Request more information about snowmobile insurance. ATV insurance is comprised of bodily injury and property damage coverage as well as comprehensive and collision coverage. An ATV policy is especially important for those who ride their vehicle off their property.Request more information about ATV Insurance. Motor home insurance combines the protection of auto insurance with that of homeowners. It safeguards your motor home and adjacent structures as well as your personal property within, such as clothing, cooking appliances and televisions. It can also cover fire and weather damage and provide liability protection against accidents.Request more information about motor home insurance. Let our team of insurance specialists at the Anchor Insurance Group do what we do best by doing the research for you! We’ll find you the specialty policy that properly protects your lifestyle and investment. Contact us today!